Marijuana is commonly used to treat glaucoma, control epileptic seizures, slow the progression of Alzheimer’s, ease the pain of multiple sclerosis, lessen the side effects from treating hep C, treat inflammatory bowel diseases, and relieving arthritis discomfort. It also helps with more serious conditions by improving the symptoms of Lupus, soothing tremors in patients with Parkinson’s, protecting the brain after a stroke, possibly protecting the brain from concussions and trauma, helping with Crohn’s disease, reducing pain and nausea in cancer patients undergoing chemo, and regulating several types of anxiety, including PTSD. Beside all this, our sweet Merry Jane boosts creativity in the brain as well, all while improving verbal fluency and lessening inhibitions. It’s no wonder then that some of the most prolific artists of our time use it, advocate it, and love it. Let’s meet 7 of the biggest celebrities that openly smoke medical marijuana. Encouraged by Israeli studies, research now shows that marijuana use reduces pain and tremors inflicted by Parkinson’s disease, simultaneously improving sleep and motor skills in these patients. Being one of them, Michael J. Fox discovered marijuana late in his life, and has been using it ever since. Snoop Dogg has a way of making marijuana seem incredibly fun, but the famous rapper knows a thing or two about medical smoking as well. His long-lasting relationship with marijuana began when he was diagnosed with glaucoma, a condition that increases eye pressure and thus causes loss of vision. A 2013 study from the medical journal Cerebral Cortex hinted that marijuana might lessen the bruising in the brain, helping it recover after a traumatic injury. 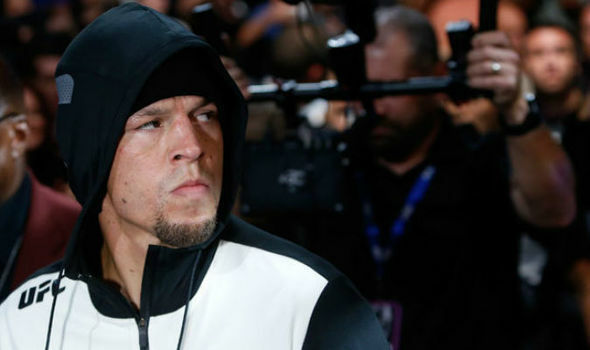 Such injuries are common among MMA fighters, which is why Nate Diaz smokes marijuana CBD oil for both concentration and pain relief. Known for his authentic depictions of war trauma and Vietnam veterans on film, Oliver Stone admits that his experiences in the army have wounded him both physically and mentally. Stone has been smoking marijuana for years, whether to unwind and relax, or to regulate anxiety and PTSD symptoms. Whether she’s feeding earthquake and tsunami survivors, or throwing concerts in support of youth empowerment, Lady Gaga is a firm believer in a pain-free life. Medical marijuana helped her deal with her pain after a hip surgery in 2013, after which she continued using it to find inspiration for her songs. Morgan Freeman is another beloved celebrity that smokes medical marijuana to relieve physical pain. His problems started after a near-fatal road accident, when he was diagnosed with fibromyalgia. Freeman is now 80 years old, but is still actively using marijuana to soothe chronic pain in his hand. Just like Snoop Dog, Whoopi Goldberg has found relief in medical marijuana after being diagnosed with glaucoma. In 2016, she launched a line of medical marijuana products targeted at menstrual cramps, in hopes that her celebrity status might help her ease women’s pain with this herbal remedy. The list of pro-medical marijuana celebrities certainly doesn’t end here. Melissa Etheridge smokes it to relieve post-cancer gastrointestinal discomfort, Montel Williams uses it to fight Sclerosis-induced pain, while Tommy Chong promotes its usage after having successfully terminated his prostate cancer. Millions of Californians have already embraced the health benefits of medical marijuana and are using it to live life with health and vitality. Have you?